Home » Carpenter Bus Blog » Did YOU Know These 5 Fun Facts About Buses?!? 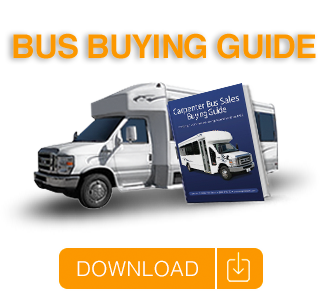 Trying to buy a bus can be a daunting proposition, but it doesn’t have to be. What size bus do we need? What options do we need on a bus? What things are covered in a bus warranty? Buses from Carpenter Bus Sales offer a convenient, relaxing, and affording way to travel. Deciding on the make, model, and type of bus can even be overwhelming, but did you ever consider these 5 fun facts before purchasing such an important vehicle? Owning a bus allows you to transport large groups of people in comfort and convenience without the hassles of numerous stops and delays along the way. You will arrive at your destination easier, faster, and on time! You also eliminate the need for multiple vehicles so everyone can ride together! A high passenger capacity bus has the ability to substitute 36 cars on the road! This not only saves thousands of gallons of gas each day, but it results in less pollution and better air quality. In addition, taking cars off the road and replacing with public transport, such as a bus, can help reduce the total number of traffic accidents. Much like air travel, many new buses offer a multitude of amenities to make time in a shuttle bus more enjoyable. Keeping travelers happy means offering modern on-board technology such high quality speakers and DVD systems as well as on-board WiFi. Advances in comfort have also been made in adding more comfortable seating and a large amount of luggage storage. Keeping your bus in an oversized garage, or other building to protect it from the elements will allow it to last longer. Just like parking your car in a garage is better for your car, having your bus covered is a smart idea as well. As a bonus…if you travel to places like Cracker Barrel™ with a group of 15 passengers or more, your bus drivers often get to eat free! Buses offer cheap, reliable and flexible services for everybody. Bus travel allows plush and roomy seating for travelers during long trips and gives you time to catch up on things you enjoy such as emails, reading, or simply relaxing. Call Carpenter Bus Sales today to help you get your group on the road!! !